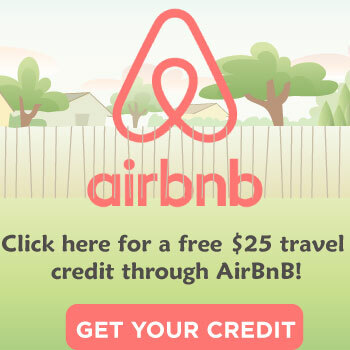 What’s better than a cold beer after a long day? 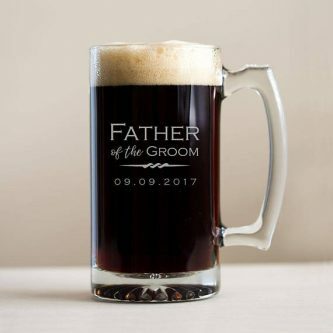 A cold beer from this Personalized Engraved Beer Mug. This Coffee Mug is certainly not you average mug. 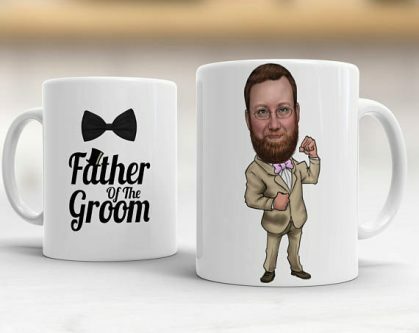 With a digitally printed caricature of the Father of the Groom, this gift is sure to be a hit. 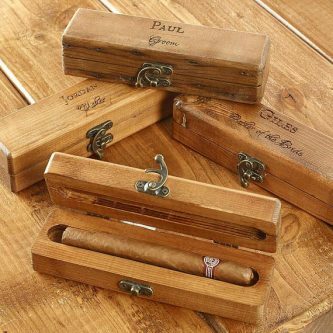 This rustic solid wood Cigar Box is the perfect personalized gift for the cigar aficionado. 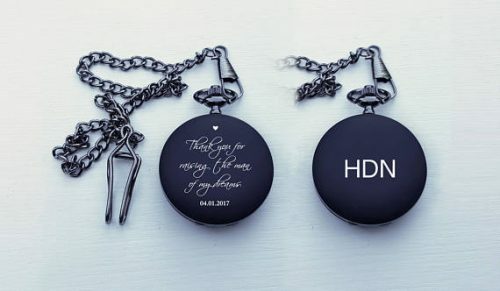 The Father of the Groom will be more than thrilled to add this Laser Engraved Pocket Knife to his collection. 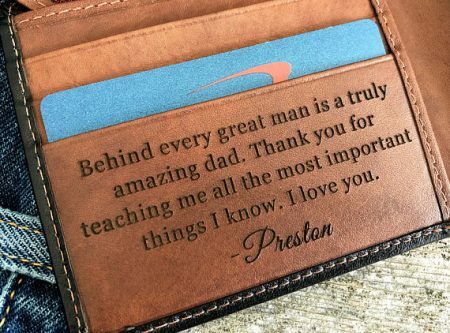 Every time Dad reaches in his wallet he will be reminded of the strong bond between him and his newlywed son. 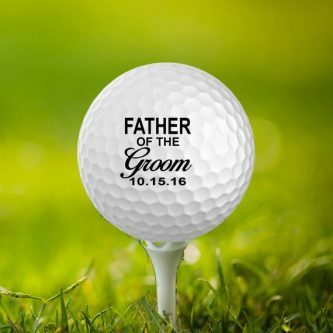 The golf-loving Dad is sure to love this Custom Golf Ball even more than the game itself. 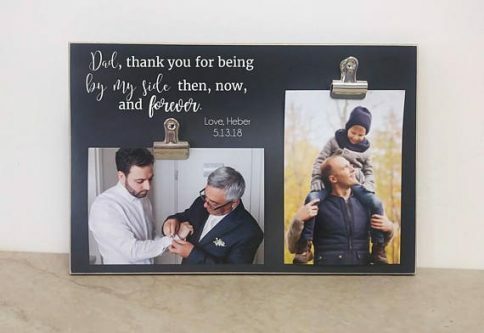 This Father and Son Photo Frame will definitely bring tears to Dad’s eyes as he reflects on the memories he shared with his son. 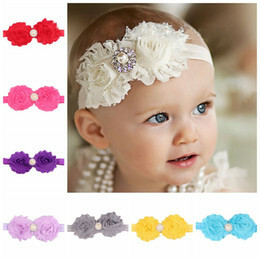 This is a beautiful watch that the Father of the Groom will be excited to show off. 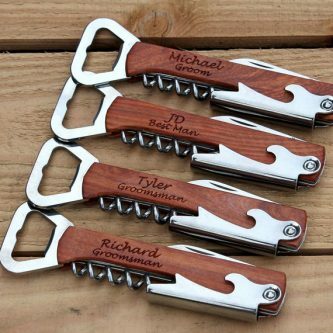 This personalized Bottle Opener is not only a great tool to have on hand, but it comes with a heartfelt message that will definitely make the Father of the Groom feel accomplished. 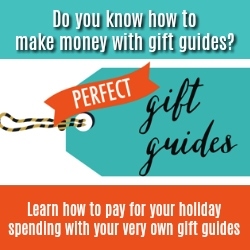 This isn’t a tool that Dad will want to hide away in his toolbox with the rest of his equipment. 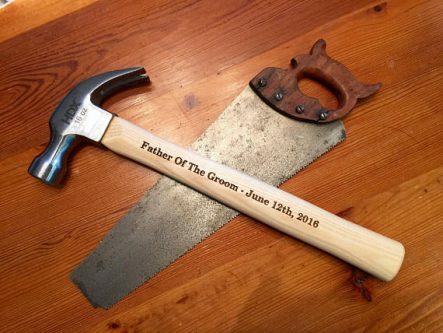 He will want to showcase this Keepsake Hammer for many years to come. Stainless Steel Tumblers are great to have on hand when you are on the go. 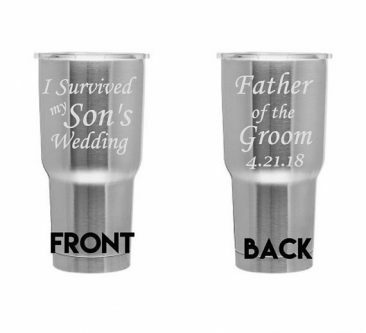 The Father of the Groom will appreciate being able to show off his new title while also transporting his beverages in an insulated container. 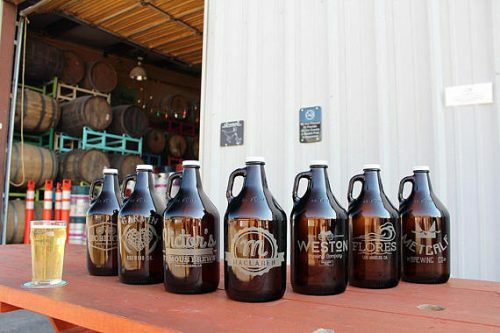 For the Dad who loves a good craft beer, this personalized Beer Growler is the perfect gift. 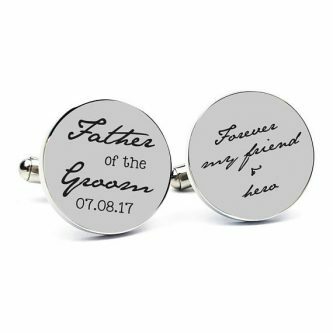 These Customized Stainless Steel Cufflinks are a simple, yet sweet, accessory to gift the Father of the Groom. 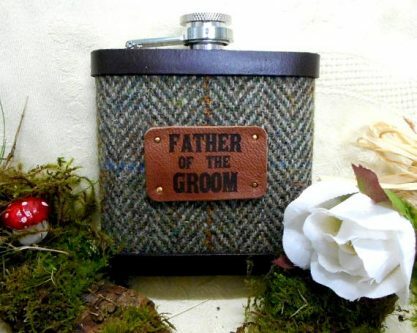 This Rustic Flask is a unique, and stylish, way for the Father of the Groom to carry his liquor. 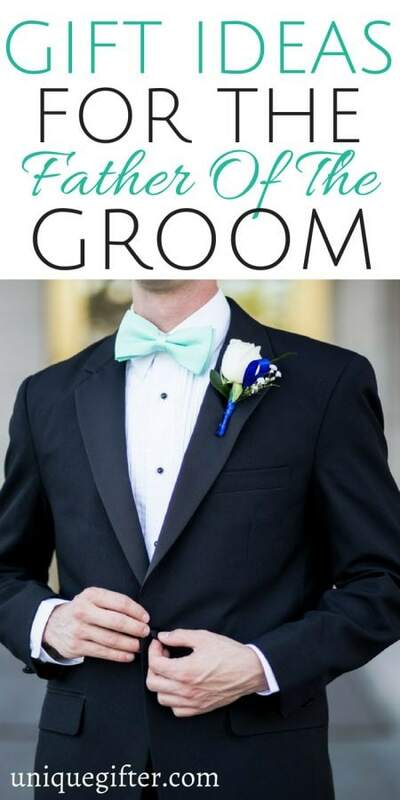 These socks are the perfect pair to wear during the wedding festivities. 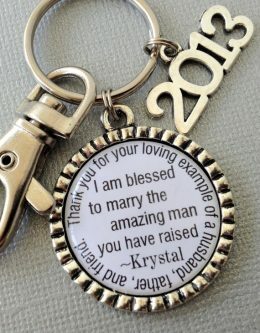 The Father of the Groom certainly wouldn’t mind hanging his keys from this beautiful keychain. 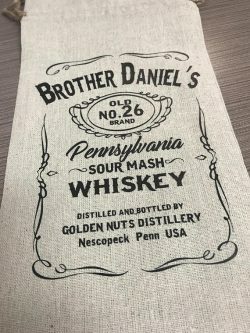 Gift a bit of fun and humor by packaging Dad’s favorite wine in this humorous Custom Wine Bag. 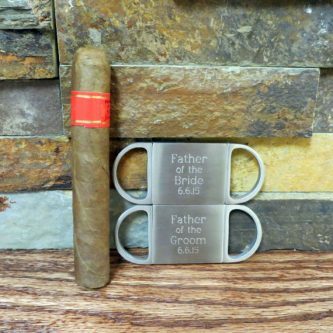 Dad no longer has to worry about cutting the right amount off the cap of his cigar with this personalized cutter. 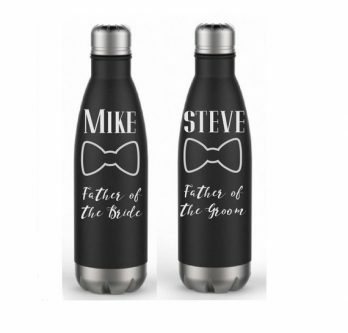 These Stainless Steel Water Bottles are seriously attractive, and a great way to encourage the Father of the Groom to stay hydrated. 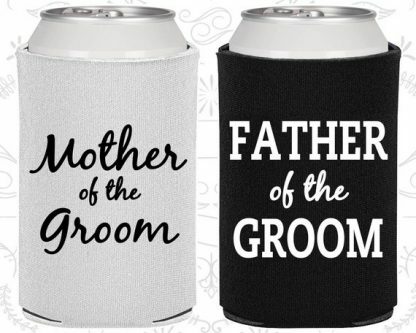 If you are looking for a simple, and easy, gift for the Father of the Groom this Can Cooler is definitely it. 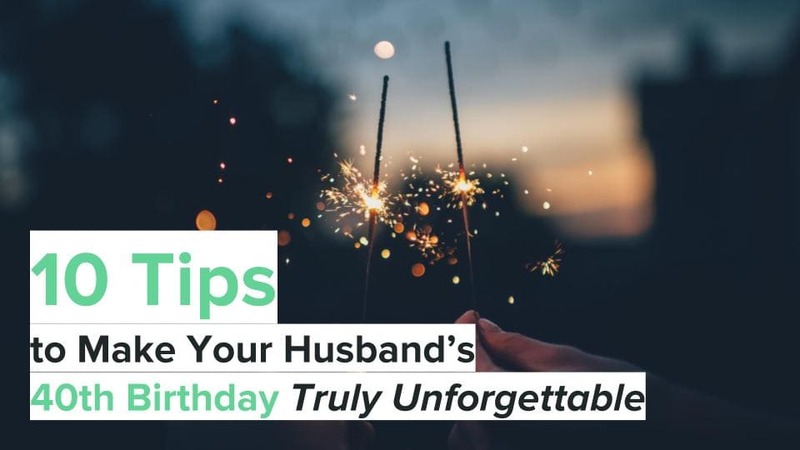 Dad is sure to appreciate the thought you put into honoring him on his son’s wedding day. He will definitely be wearing his title proudly, and looking forward to showing off the new title to all his colleagues.